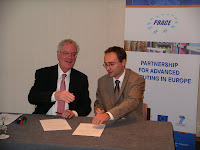 PRACE, the Partnership for Advanced Computing in Europe, got two new member countries as Bulgaria and Czech Republic joined the initiative on 8 September 2009. 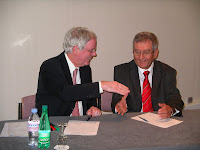 The overall number of partners in the initiative has increased to 20 as Bulgaria and Czech Republic signed the Memorandum of Understanding on 8 September 2009 in Toulouse, France. The Memorandum of Understanding was signed by Prof. Stoyan Markov - head of the National Centre for Supercomputing Applications for Bulgaria and Martin Duda - Head of Operational Programmes Centre of the VŠB -Technical University of Ostrava for the Czech Republic. 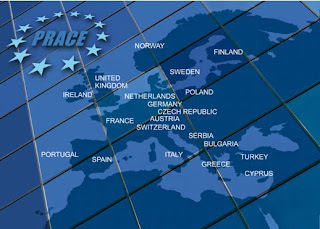 The following countries collaborate in PRACE: Germany (project coordinator), Austria, Bulgaria, Cyprus, Czech Republic, Finland, France, Greece, Ireland, Italy, The Netherlands, Norway, Poland, Portugal, Serbia, Spain, Sweden, Switzerland, Turkey and UK.